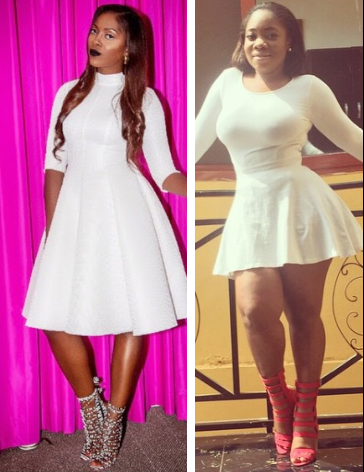 Naija Singer Tiwa Savage and Moesha Boduong are both sporting white skater dresses and gladiator heels. While Tiwa went for a knee-length dress and black and white shoes, Moesha's curvier body filled a shorter dress with red heels. Who rocks this looks best?